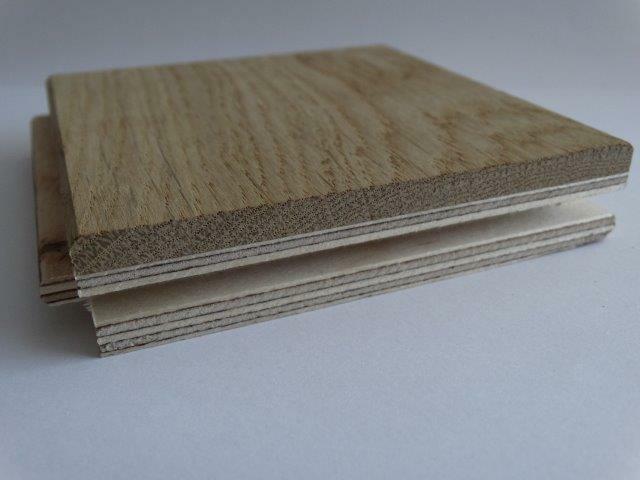 Layered floorboards, enginered flooring, board, oak, 15, 17, 19, 21mm - Demands and Offers for wood and wood products. ID 464682 ANDREWPOL wood factory was established in 1989. We specialize in a professional production of all wooden floors, such as oak parquet, ash parquet, solid floorboards, layered boards, oiled floors, palace patterns, antiqued floors, stairs, finishing elements and lamella. All our products can be purchased at three options of choice: for further sanding and finishing to your own preference, prepared for oiling or varnishing (product is beveled, sanded, antiqued etc.) or oiled and ready for assembling. We hope that our many years of our experience in woodworking will meet your appreciation and will result in cooperation. We offer you the highest quality products and attractive prices in return. The wear layer has a thickness of about 3 mm to 6 mm and is made of oak wood which is characterized by high durability and timeless appearance. Our offer also includes layered ash boards and other wood types for individual customers orders. To reduce the penetration of moisture from the substrate and to provide more stability we used waterproof birch plywood as a bottom layer. For gluing these two layers, we use precisely cut material strictly according to technological standards, using the best adhesives available on the market. To high temperature, as in the case of a solid board, can cause drying and cracking of wood. High humidity will cause swelling of wood. It is believed that the optimum room temperature should be within the range of 19 22 degrees Celsius and humidity of 45 60%. Floor made of layered wood can be classified as wood floor and can be finished the same way as solid wood floor, using either oil or varnish. On individual customers request, we offer the service of edges chamfering (two-sided or four-sided) and the service of antiquing. In addition, you can order a parquet with expansion cuts on the bottom side of the layered board.